(KKIA Terminal 2 was�closed on 1 Dec 2015, and all flight operation are�moved to KKIA Terminal 1.) Due to increasing demand by tourists, now Kota Kinabalu city (KK) has regular shuttle sending passengers back and forth KKIA (Kota Kinabalu International Airport) every day. The ticket counter and station of Airport Bus is at Padang Merdeka (or Merdeka Field in English, see location map). Note the sign “Bas Airport” (means Airport Bus) at the bus stop. Pic: the booth of Airport Bus. The bus ticket costs RM5.00 (about USD$1.50) for each Adult, RM3.00 (about USD$0.90) for Child (below 12). If you have a lot of luggage, you can store them in the compartment at the bottom of the bus. The shuttle service is available from 7:30am to 8:30pm daily. Below is the schedule of Airport Bus. It takes the bus about 25 to 40 minutes to reach the airport (depend on if it’s rush hours) about 7 to 10 Kilometers away from KK city centre. If you are in a hurry to check-in at the airport, I would advise you to go with a taxi instead. On its way to airport, the bus will pass by the bus stop behind Horizon Hotel (see location map) and Asia City Complex (see location map), so you can wait at these bus stops to get a ride to airport. The Airport Bus also picks up passengers at the airports. 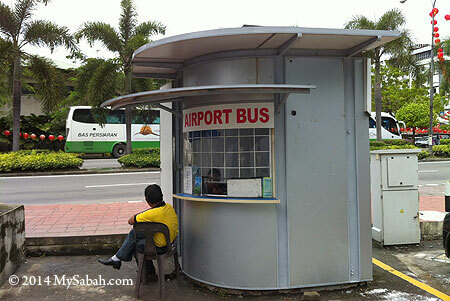 You can find the ticket booth of Airport Bus inside both terminals of KKIA. On its way back to KK, the bus can drop passengers near Horizon Hotel (Online Booking Available), Deleeton Hotel (Online Booking Available) and Hotel Dreamtel (Online Booking Available). It even can send you to Sutera Harbour, but you have to inform the bus driver in advance. For backpackers who stay in lodges in Gaya Street, the place is only a few minutes walk from Airport Bus station. The route of Airport Bus ends at Padang Merdeka (Merdeka Field) in Kota Kinabalu City Center. At Padang Merdeka terminal, long-distance bus, mini-van and taxi are readily available for tourists who want to travel to major cities / towns in west coast and interior of Sabah. Pic: Padang Merdeka / Merdeka Field, where the Airport Bus stationed. Padang Merdeka (Merdeka Field) has bus service to the towns of Sabah interior, such as Kundasang (Kinabalu Park), Ranau, Keningau, Tuaran, Kota Belud, Kudat, Kota Marudu, Tenom, Tambunan, and Pitas. There is a lot of taxi / limo around that area too. As far as I know, only bus to Keningau is big bus with air-conditioning and they have fixed departure schedule. 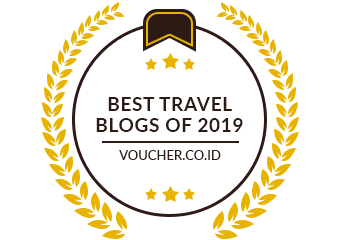 For other destinations, there are usually mini buses and vans that may not have any air-conditioner and they only move when all seats are taken up (an hour of long wait is common). 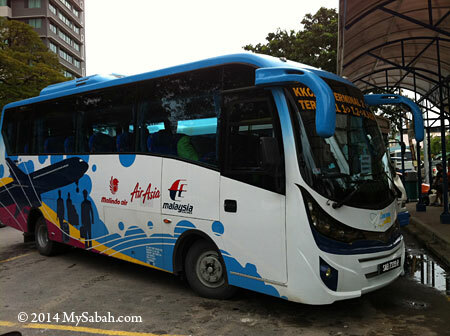 For more detail on Sabah bus, please read my other article Traveling in Sabah by Bus. Below is the contact of Airport Bus. You also can charter a bus or van with them. Address (office): KM 7, Jalan Kepayan (next to JKR Training Center), 88100 Kota Kinabalu, Sabah, Malaysia. Though the cost of bus service is a a fraction of taxi, bus doesn’t take you to your home or hotel. 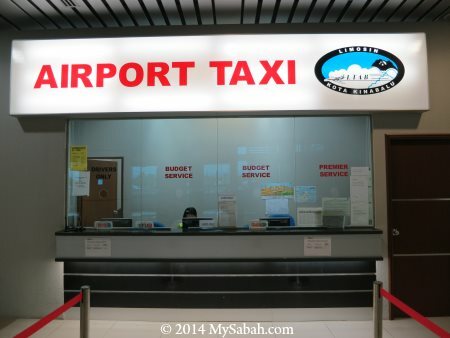 Our airports have taxi service counter where you can get a taxi. Taxi is more expensive, but it’s more feasible than taking bus when you have a few passengers to share the car (to split the cost). FYI, Grab and Uber are also available in Sabah now.